Shaz by the Sea: OMG are they twins!?!? When I'm out with the kids, I constantly get "OMG are they twins? My brothers wife's cousins daughter has twins". "Do twins run in your family? OH, your father in law is a twin? Well that's DEFINITELY the reason you had twins". It actually couldn't be more wrong...and it happens ALL the time. Just yesterday, I was with the boys at the Wakefield lake and so many people stopped to ask me about Conor and Caden - like they were some kind of medical mystery or something. I think the funniest thing about having twins is I see some type of twin reference every day now. They are actually really common! As soon as people start talking to me about twins - they think they know everything about them. After the person tells me about every distant relative who is a twin or how they once knew a twin in their life, then they go on to tell me I must have twins in my family - and the fact that Jim's Dad is a fraternal twin MUST be the reason I had twins. Nope. 100% wrong. In fact, monozygotic twins are a totally random fluke. It has absolutely nothing to do with genetics or family history. Here is an excerpt about interesting twin facts I found from this website about twins. The causes of monozygotic twinning are generally unknown and unidentified. No one really knows why an egg splits; technically it's a malfunction of the normal development process. There's no hereditary trait that makes it more likely for you to have identical twins. Identical twins do NOT run in families. Although there are families with a high incidence of identical twins, it is due to chance, coincidence, or plain good luck. Identical twins represent about a third of all twins. 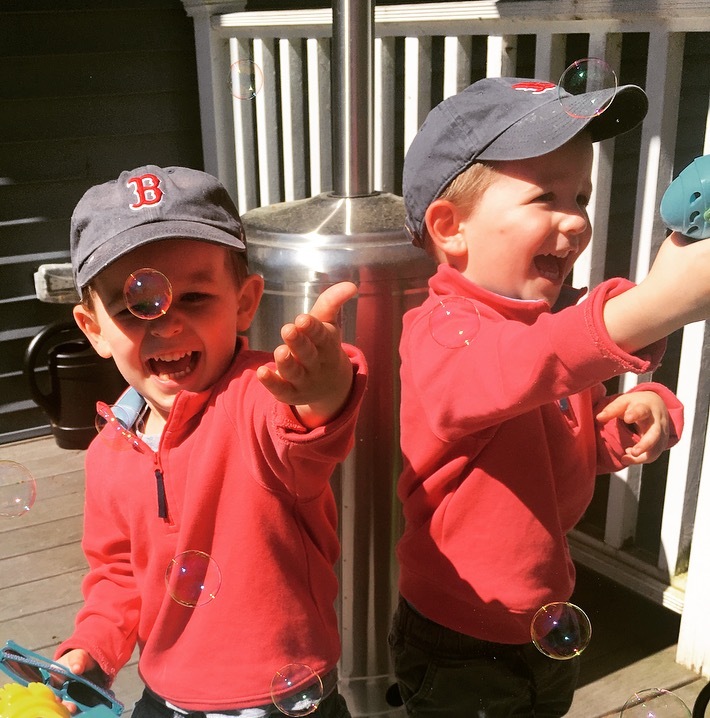 Dizygotic twins are twice as common as monozygotic. Birth rate statistics for identical twinning have remained stable over the years, despite the overall increase in twins and multiples since the late 1980's. The odds of having identical twins is about 3 in 1,000, whereas the birth rate for ALL twins is about 3 in 100. 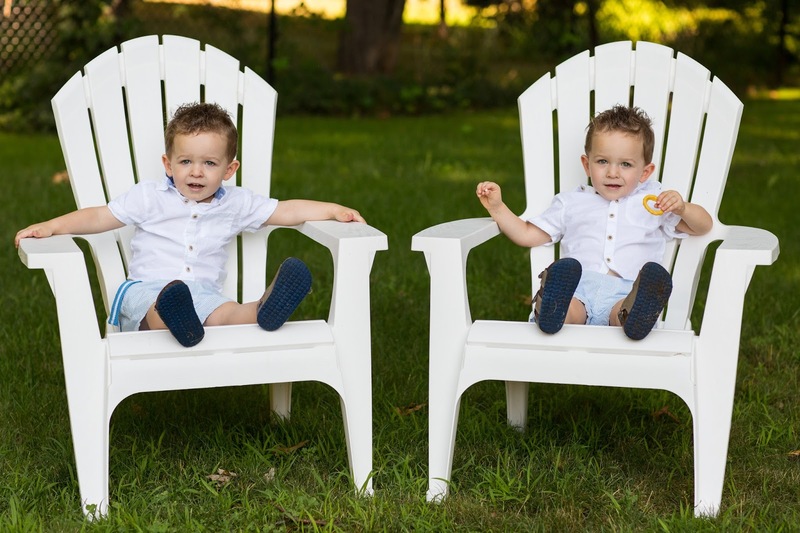 Identical twinning is not generally influenced by fertility-enhancing treatments like drugs or in vitro, although monozygotic twins have been produced in pregnancies that were the result of such treatments. Birth rate for identical twins are consistent across populations; it is the same regardless of race, geography or maternal age. If you didn't read the post about us finding out Conor and Caden were identical twins - here's the story. 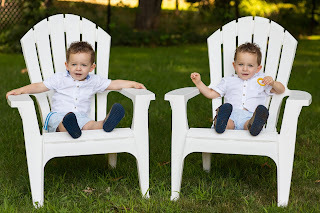 In short, it doesn't matter whether twins are identical or fraternal, but I personally wanted to know (duh, they're my children) and I wanted to be able to give people a legitimate answer when they asked me if they were identical or not. To recap a bit, I had a di/di pregnancy ("dichorionic/diamniotic"). A di/di pregnancy is a type of twin pregnancy where each twin has its own chorionic and amnionic sacs. In fact, it's the safest type of twin pregnancy to have - the babies don't need to share anything. A di/di pregnancy often results with dizygotic aka fraternal twins - BUT (and this is a big but) it also results with monozygotic (aka identical) twins. Enter Conor and Caden! During my entire pregnancy, almost every doctor and ultrasound tech told me my twins were most likely fraternal. Some people went as far as to say they were definitely fraternal. Anyway, every few months or so - I get into this twin discussion because strangers always talk to me like they know the whole science behind everything twin related.